Home to the exquisite Blue Point Villas, the state of Delaware a Mid-Atlantic region is located within the Delmarva Peninsula which borders Maryland, New Jersey, Pennsylvania, Delaware River, and Delaware Bay. Divided into three counties of New Castle, Sussex and Kent, this densely populated region is 154km long, and rests upon a level-plain landmass of 1954 square miles. Climate within this zone transitions between continental and humid subtropical, moderated by Delaware Bay and the Atlantic Ocean. Northeastern coastal forests abound with mixed oak and bald cypress trees. Built in the city of Rehoboth along the Delaware beach a popular seasonal destination in the east of Sussex County, the condos exist within close proximity to an award winning 5 star water quality beach. This charming town is renowned for its gay-friendly atmosphere that includes numerous gay-owned businesses, wooden boardwalks, tax-free shopping, annual festivals namely: Beach Jazz, Film, and Sea Witch, a host of sporting and amusement activities. Incorporated with private elevators to the second, third and fourth floors, the 2006 luxurious single level condos feature 4 bedrooms, 3 baths with jetted tubs, gas fireplaces, corian countertops, expansive balconies and an outdoor pool. 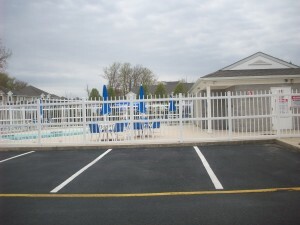 The condos which are available for purchase or hire are ensconced within a scenic, tree-lined, quiet and peaceful atmosphere, and are connected to downtown Rehoboth by Route 1 highway, or an adjacent canal street, useful for those desiring a traffic-free and quick travel to the city’s Avenue. 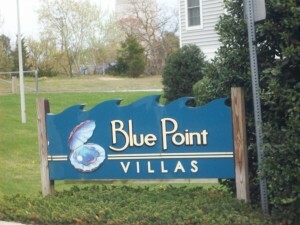 Quality cafes, restaurants and shops are within minutes from Blue Point Villas. From the coastal delights of sea food and other gourmet restaurants, the exuberant nightclubs, and the one-day trip of the Indian River Lifesaving Station where the Coast Guard history since 1879 is taught, activities abound. Considered the nations summer capital, Rehoboth Beach is definitely an ideal place to relax, retire, or enmesh oneself within its artistic charm and appeal.